How I can load value in form and put it in text. Calling a save in a postSave does not make sense ! Chances are it will result in a stackoverflow (unless you do tricky things to avoid it, which does not seems to be the case here). There seems to be a misunderstanding of the role of this hook which is only dedicated to set “static” rules for the user and/or object instance. It does not make sense to set values int this hook. 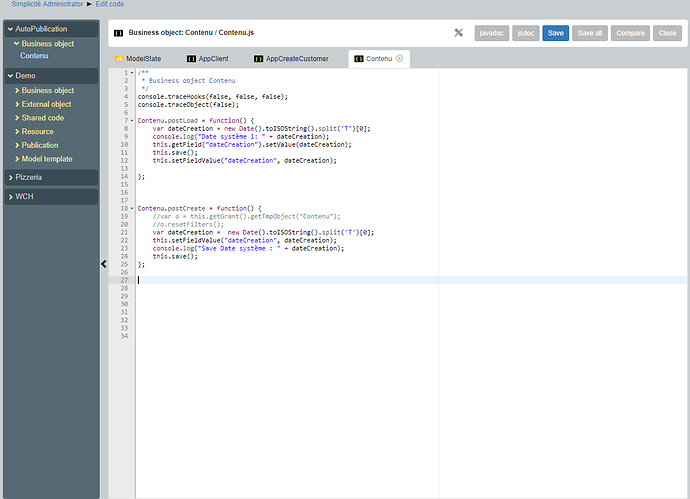 Please refer to https://docs.simplicite.io/documentation/01-core/businessobject-code-hooks.md for explanations on the role of each business objects hooks. ok, but how I can Load value !!! A field value is set by a this.setFieldValue("<field name>", "<value>") or this.getField("<field name>").setValue("<value>"). When you need to set a field using server-side code you can do it either in a initCreate/Update hook or in a pre/portValidate or both depending on what you want to do. Keep in mind that what is displayed on a webpage can easily be altered, so most of the time you can’t rely only on what you do in a initCreate/Update you must redo it in the pre/postValidate. 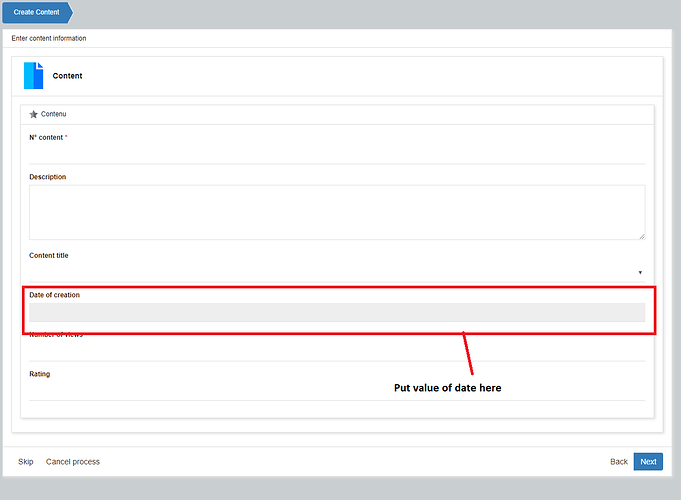 To set a value you can also use the default value mechanism, for instance if your requirement is to set a field with the current date you can set [DATE] as default value of this field, the value will be set by the platform. Etc.